no game viewing here, but i heard the close score! OMG – what kind of scratch job did the little one do?!?! It was one of the better games… up there with NE/StL and Stl/Tenn of recent memory. So… no update on Gabe? My mom had her front teeth KNOCKED OUT by my then-toddler brother over-zealously throwing his head back. Poor Tova. I love the shirt you’re wearing in that pic. My wattle beats your wrinkles hands-down! even with only one eye…i had the best time ever!! The shirt you’re wearing in that pic is fantastic! Is it tokidoki? Where did you get it? I thought the game was pretty amazing, and Ive decided I think Eli manning is a stud. Even though his face…not so much? Hes still studly. Chelsea Talks Smack’s last blog post..Super Bowl days make me listen to rap music and act as spokeswoman for Doritos. Definitely a great game! My preschooler fell asleep on the couch waiting for us to put her to bed… Ooops! It was a good game, I was totally on the edge of my seat for the last minute. Where did you find the cute Tokidoki shirt? It was an awesome game! I had to leave the room for that last drive though. I am not a Giants fan but I have an abnormal loathing for NE, Tom Brady, and Bill Belicheck. I’m the opposite of you on the fans, I find NE fans to be the obnoxious, self righteous ones. I took much joy in the end of that game! But I would much rather be seeing Brett holding that trophy on the front page of the paper today. And I agree – Eli Manning always looks lost and confused. This family is in love with Tom Brady! I so wanted the Patriots to win. 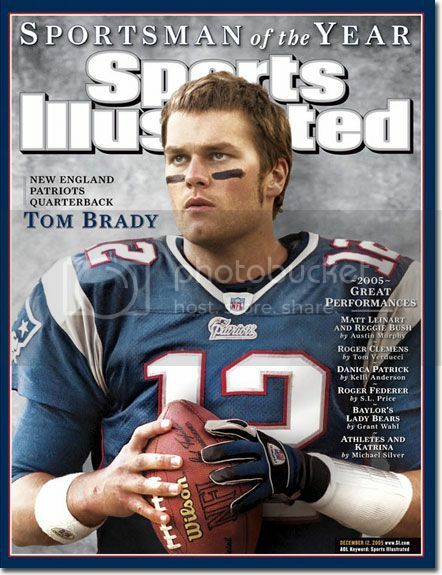 Because I’m in LUST with Tom Brady…. Haley-O’s last blog post..How to Make a ClapperÃ¢â‚¬Â¦. fantastic game! tyree’s catch was awesome. what about eli manning escaping the shirt hold to make the pass?! i must admit that i am a jets fan (j-e-t-s! jets! jets! jets!). i picked the giants because they were the underdog. never thought they would actually win though. hmm. people who bet the giants outright probably raked in a shitload of money! Clink’s last blog post..…and a very happy XLII to you! Not because I’m the wife of a Giant’s fan, but that game was intense. And I don’t even really understand football…. Poor Tova. How long does she have to wear that thing for? 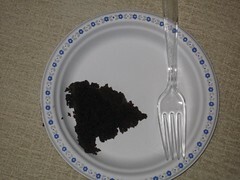 And you…..eating cake. I’m ashamed (and soooo f’in jealous). I am not comptetive, which I’m sure is why I enjoy watching sports more the playing, but I think “share the wealth” I was glad New York won, really does Tom Brady need to win another Superbowl. Give someone else a chance! I know I’m a girl…. I love your shirt. And Tom Brady is so beautiful. see, i really like eli manning. not the same way i like joey harrington, but as a player i like rooting for him. i feel like he’s more understated and reserved than a lot of showboating athletes – he’s dedicated to the sport and to his team, but he doesn’t go around bragging about it. it’s a quiet confidence and that’s what i like about him. i also love underdogs, so i was really hoping they would pull through. yay! I am still very sad about the Super Bowl that should have been my New England boys against my Green Bay boys. Stupid stupid Eli Manning. The only thing that rivaled the horror of what was taking place on the field was that we were subjected to Peyton’s reaction to every.freaking.play. Is there no mercy?? Now what do we have to do to convince Brett that retirement? Not an option.